She’s more or less done now. Colours were all done on my phone! 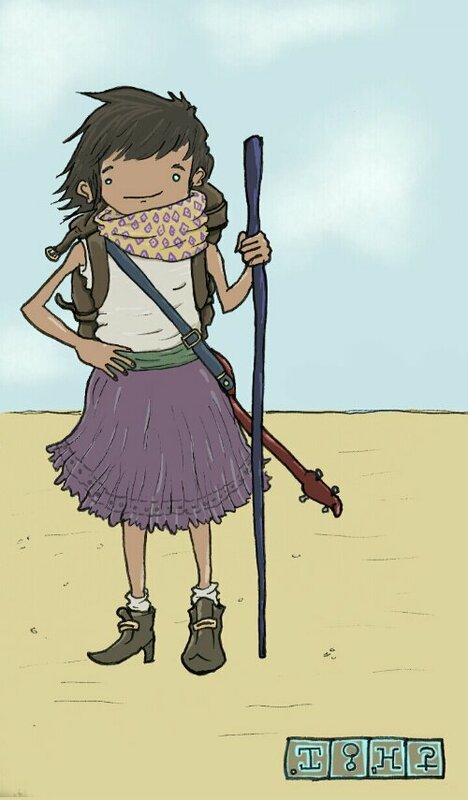 This entry was posted in Chronicles of the Tales of the Sagas and tagged Desert, Guitar, Lute, Sand, Traveller. Bookmark the permalink.